Pete’s Tire Barns carries a full line of Greenball Trailer Tires. Greenball is best known for its Towmaster and Transmaster lines of trailer tires. Greenball offers a full line up both bias ply and radial trailer tires. Available in a variety of sizes, ply ratings and tread patterns, Greenball sells tires, wheels and mounted tire assemblies. Greenball trailer wheels are available in plain, spoke and modular styles with both white and galvanized finishes. Greenball builds tires for many different trailer applications, including boat trailers, cargo trailers, snowmobile trailers and utility trailers. 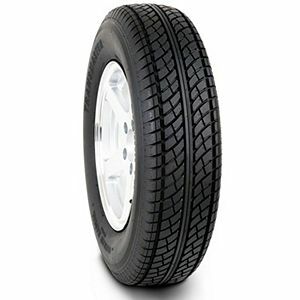 Trailer tires are just one of the many Greenball tires available at Pete’s Tire Barns.